There are many positives of an excellent economy. I will argue that there are a significant number of drawbacks as well. As a result of a booming economy, companies experience rapid growth and need more employees. This makes it an “employee market.” An increase in job opportunities causes an increase in employee turnover as employees seek and get “better offers.” There are currently more jobs than there are unemployed people. To make matters worse, the rate of employees quitting is the highest it has been in the last 13 years. As a result, companies are compromising by keeping underperforming employees and hiring new employees that they typically would turn away. This higher percentage of new employees always leads to a dramatic decline in customer service. As a result of high turnover, businesses are trying to serve more customers with less people. When demand is up, leadership becomes more focused on optimizing sales, and can become careless about the details. Even poorly run businesses will flourish in a great economy. The American Customer Satisfaction Index reported consumer happiness dropped in 2017 and has not risen since. Growth is great when done right, but it is so tempting to fall into the growth trap. You should never compromise your hiring, training and the customer experience your company delivers. Getting hired at your company should always be extremely difficult, regardless of high demand or a flourishing economy. It is only fair to your existing employees that you are extremely picky on who you let in. People need to earn the right to be a part of your culture and legacy. The goal should be for every long-term employee to regard their choice of being part of your company as one of the best decisions they have made in their lives. Sykes founded the Behavioral Research Applied Technology Laboratory to uncover which habits create health, happiness, security and performance. His employer-focused consulting team, Habits at Work, literally puts habit creation to work in order to create high-performance organizations. 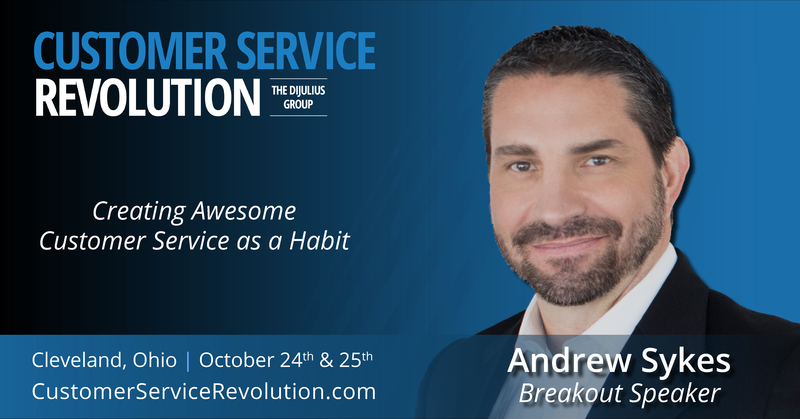 The DiJulius Group is thrilled to announce that Andrew Sykes will be presenting at the 2018 Customer Service Revolution. 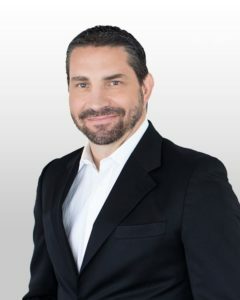 Andrew has 20+ years of leadership experience, having consulted with some of the world’s largest companies, including Shell Oil, McDonald’s, Nokia, British Aerospace, Unilever, Blue Cross Blue Shield and many others. He brings a new, challenging perspective to habit creation, employee well-being and what really drives competitive advantage for companies. He is adamant about helping companies flourish through the success of their people, rather than at their expense, and he is eager to share his ideas with others. In Andrew’s workshop, you will learn both the formula for creating any habit, as well as the importance of designing the conditions that surround employees and influence their behavior and habits (The Contexts). You will leave with a new view on the value of habits to the destiny of your company, how habits define culture, and excited to try your hand at the craft of customer service habit creation. 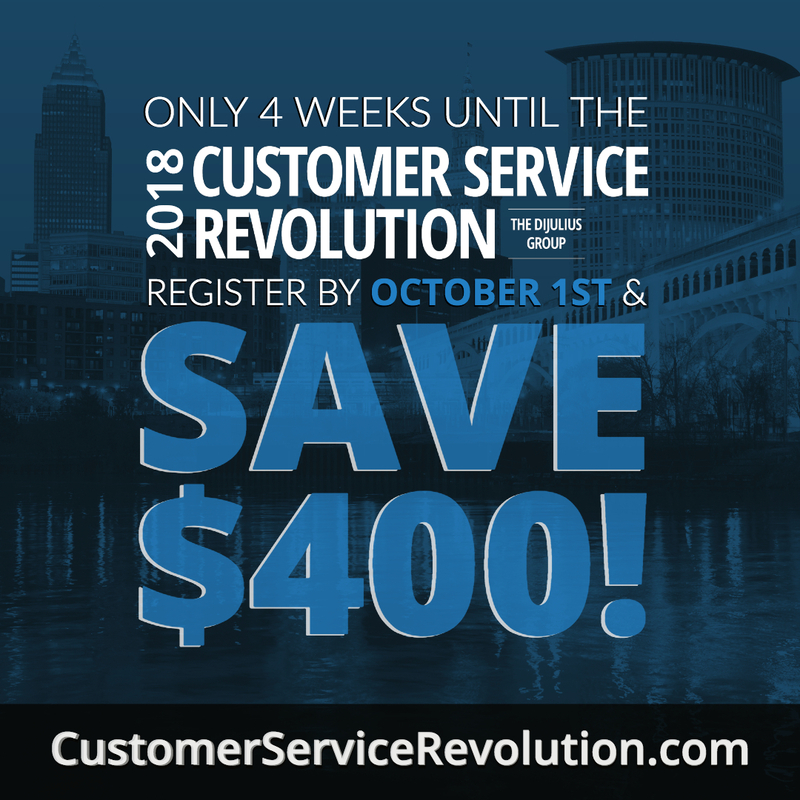 Only 4 weeks until the 2018 Customer Service Revolution. Register by October 1st and save $400!